What do we know about Emory University? That is an important question as Ebola victims are being treated in Atlanta at Emory University Hospital. Emory is widely recognized for excellence in medicine. Its transplant team is among the best in the nation. Generally speaking, however, Emory does not enjoy a good reputation among working class or indigent people, and serious questions exist about Emory's dealings regarding people who are homeless or mentally ill. There are also concerns about racism and antisemitism at the hospital regarding former medical students as well as patients. Five(5) urls are currently in this article before the signature block. This article may carry more information as research continues. Atlanta has a substantial number of homeless mentally ill people. Advocates for that population lay partial blame on Emory, which expanded its campus by taking over land and buildings that were Georgia Mental Health Institute until the 1990s. Throughout the nation, mental hospitals closed or reduced services after Medicaid insurance was withdrawn for inpatients who were not considered an immediate danger to self or others. Hundreds of thousands of mentally ill people were evicted from psychiatric hospitals with little or no provisions for their subsistence and continuous treatment. 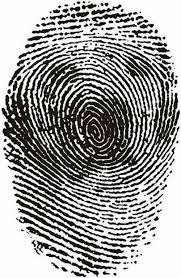 Many became homeless people who were eventually arrested and charged with vagrancy, panhandling, illicit drug offenses, and even violent crimes. Community safety was compromised by their lack of psychiatric treatment, and their arrests caused overcrowding in public jails and prisons and created the opportunity to institute private prison companies to handle the overflow. Today over 1.25 million of America's prisoners are mentally ill people who comprise at least 60 percent of inmates in solitary confinement torture. More than 50 percent of police violence victims in America are mentally ill. Unfortunately, no accurate count is kept regarding the deaths and injuries by police that regard the mentally ill.
Emory University and Georgia Businesses Conspire Against Homeless Task Center (Shelter). (APN) - Fulton County Superior Court Judge Craig Schwall heard a series of important motions in the cases involving the Metro Atlanta Task Force for the Homeless and the numerous co-conspirators who conspired to sabotage the homeless shelter by depriving it of public and private funds, in a hearing on July 11, 2014. 1) "Several people have asked about the "Shame on Emory" banners on Clifton. Jimmy Gibbs from the Southeastern Carpenters' Regional Council shared the info below. Short version: Emory has hired two contractors for dorm renovations with a history of illegal labor practices, including violating wage and tax laws in Georgia." 2) "Administration [at Emory University] has denied any issues with tenure erosion or adjudication. 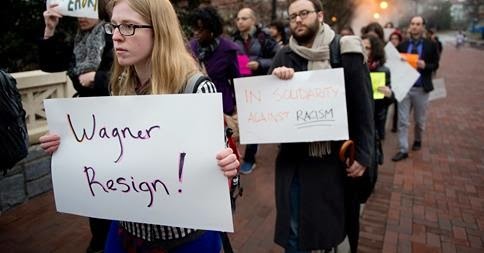 MLA delivers the numbers, and the opposite is true: From 1995 to 2009, the percentage of tenure-stream faculty at Emory goes from 87.4% to 34.6%, while nontenured/non-tenure track faculty more than quintupled from 12.4% to 65.4%." Despite Emory's history of insensitivity to the mentally ill and homeless, racism against blacks, antisemitism, and oppression against its professors and staff, Atlanta residents of all races and socioeconomic classes appreciate the level of professional care at Grady Memorial Hospital, which is reportedly "staffed by close to 700 Emory medical faculty (full-time equivalent of 270). In addition, 366 Emory residents and fellows provide care at Grady under supervision of the faculty." What do Emory's far-right leanings have to do with Ebola? Let us hope the answer to that question is "nothing." However, if Ebola should escape the containment unit at Emory, it might be important to note certain truths. Tuskegee University Hospital in Alabama conducted government experiments on black farmers while pretending to treat them for syphilis. Wikipedia reports, "The Tuskegee syphilis experiment was an infamous clinical study conducted between 1932 and 1972 by the U.S. Public Health Service to study the natural progression of untreated syphilis in rural African American men who thought they were receiving free health care from the U.S. government." Medicine played a large part in atrocities throughout history, including Nazi concentration camps, enforced sterilization of indigent persons (mostly blacks) through America's eugenics program, and torture in the War on Terror camps. Any humane, socially conscious hospital would reject and denounce such activities, but to what degree do the terms "humane" and "socially conscious" describe Emory University Hospital? Mentally Ill Americans Need Dog Justice. Treat mental illness medically, not legally. Please advocate for the U.S. Congress to pass H.R.3717 - Helping Families in Mental Health Crisis Act. Elect only people who support human rights and justice for all. Your comments and questions are invited in the comments field below. 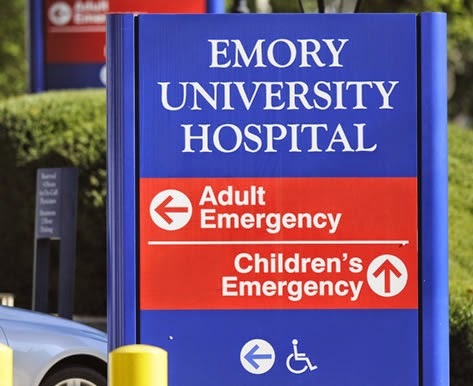 "America Entrusted to Emory University Hospital"
Article repeated in three comments because of cyberstalking, which is particularly disturbing regarding this crucial subject matter - world health and infectious disease. Who is Emory University? That is an important question as Ebola victims are being treated in Atlanta at Emory University Hospital. This article may carry more information as research continues. Generally speaking, Emory does not enjoy a good reputation among working class or indigent people, and serious questions exist about Emory's dealings regarding people who are homeless or mentally ill. Four(4) urls are currently in this article before the signature block. Article repeated in comments. This is comment 2 of 3. This writer also read an article regarding Emory's (past?) tendency to make black patients who need organ transplants secondary to Caucasians who require transplants. Article repeated in three(3) comments. This is the third and final part of the article, which concerns world health and infectious disease at Emory University Hospital.